Parenthood is scary to navigate as a first time mother, even harder when you do it for the first time with twin boys, and seemingly impossible when you learn that one child is deaf. The first day as a parent was full of joy and heartbreak when we learned Landon had failed his newborn hearing screening. In the weeks that followed, there were more tests and eventually one doctor used the word ‘deaf’ to describe my perfect son. I thought that meant life for Landon would be full of limitations and missed opportunities as the stigma of the word set in. 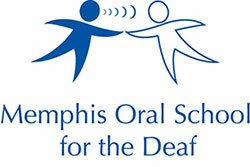 Then, I learned about Memphis Oral School for the Deaf through a mother of another deaf child. Our lives have never been the same. Landon began Sound Beginnings at 4 months old and is now in the preschool program. My family is confident that my son, like all of the other children, will be successful in life as a result of this school. Landon will mainstream into kindergarten with his brother and with other hearing peers when he graduates from MOSD in 2020. 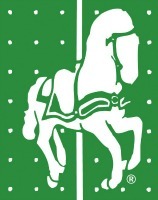 Memphis Oral School for the Deaf gave my family hope for Landon’s future. Uncertainty. "This describes our journey with Aurice's hearing loss. At 8 weeks, Aurice was diagnosed with a mild hearing loss in the right ear and moderate hearing loss in left ear. At 3 months old, our little daughter was wearing hearing aids". Stephanie and Ajay's journey brought them to the Memphis Oral School for the Deaf, where they found answers and hope for Aurice's future. 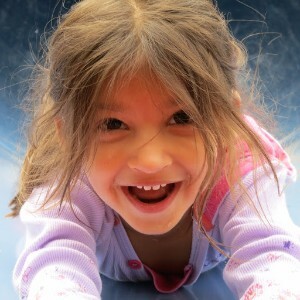 As physicians, Aurice's parents were both accustomed to helping their patients face health challenges but they did not know how to handle their own child's hearing loss. "We worried about almost everything, simple things like how would we hold her at night and read her a story, while trying to sign the words to her"? "We visited the Memphis Oral School and saw happy children talking, listening to their teachers, singing songs. They were talking like normal hearing children -- and not using any sign language! We saw teachers turning every small occurrence into a speech and language-learning opportunity. After our visit, we saw what was possible. We had hope that Aurice's future was going to be filled with all the same opportunities available for hearing children."